Caregivers are often the first to sacrifice their own needs to make sure their senior loved one receives the proper care. Yet, it has been proven that seniors thrive when their Harrisburg caregiver is comfortable and relaxed. 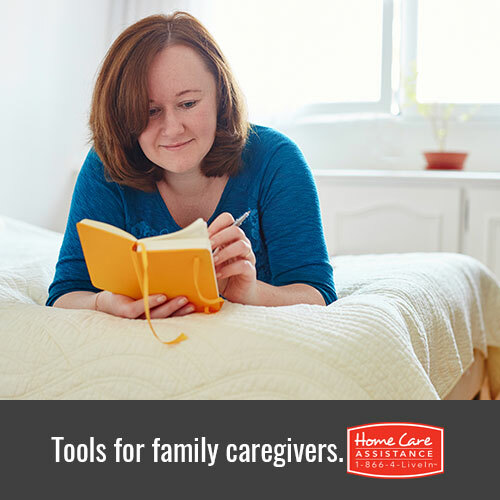 Caregiver self-care does not always have to be expensive or time-consuming. If you are a caregiver, consider investing in these five things that will give you a much-needed boost. Music has the ability to uplift any mood and transport anyone to a happier state of mind. Invest in a quality music player that will allow you to store several playlists that can be used to enhance your day. Create an upbeat song set to help you get through errands and chores. Then, add a relaxing playlist that can soothe your senior loved one or provide a moment of peace during a stressful day. Family, hourly, and live-in Harrisburg caregivers spend the majority of the day on their feet, and any additional heavy lifting or walking can take its toll. Fortunately, comfortable sneakers can make a huge difference. It might seem like an unlikely splurge, but this is one investment you’ll be glad you made. Family caregivers are often reluctant to leave their loved one alone, even for a short break. However, professional home care in Harrisburg can be arranged on a regular basis so that you can take that fitness class or attend a health appointment. Even a quick lunch with a friend can provide you with a chance to relax and return to your caregiving duties with a fresh outlook. Keeping up with medications, doctor appointments and treatment plans can get confusing. Manage your paperwork and schedules with an organizational system that fits your needs. Even a simple wall calendar can help you and your support network know exactly who is responsible for certain duties each day. Some of the greatest pleasures in life are inexpensive and easily accessible. A hot cup of coffee, new scented bubble bath or manicure can all provide you with an opportunity to indulge in a moment of pampering. Identify a few of your favorite pleasures and invest in a plan to ensure you fit one in each day. If you’re the family caregiver of a senior loved one and you’d like to learn more about professional home care in your area, reach out to Home Care Assistance. We provide hourly and live-in care, as well as specialized Alzheimer’s, Parkinson’s, and in-home stroke care in Harrisburg. Call our office at (717) 540-4663 to schedule a free consultation with a trusted Care Manager. You’ll have a chance to ask questions, learn more about care services, and ultimately feel more comfortable with your care provider.